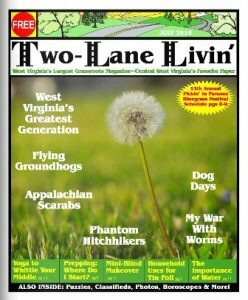 The July 2016 edition of Two-Lane Livin is out. 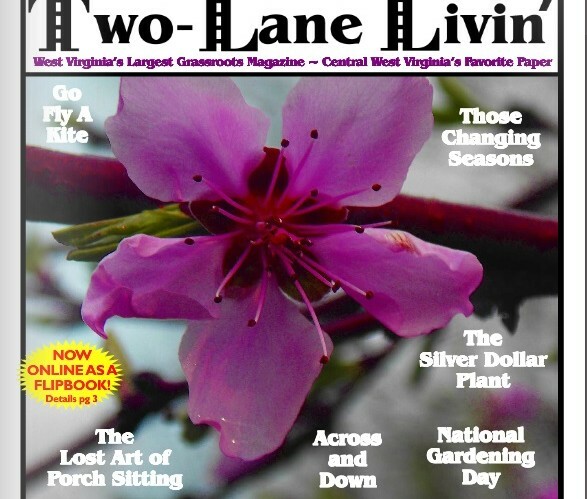 Read my monthly colum, “Everyday Upcycle” and this month’s project “Mini-Blind Makeover”. Click the image to read the flipbook. 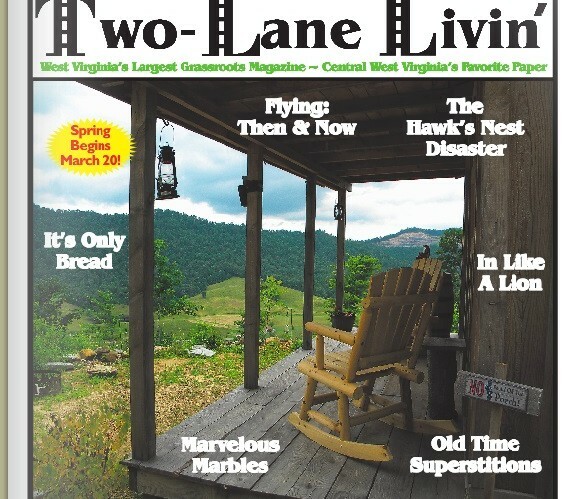 This is my column from the September 2015 edition of Two-Lane Livin’ – West Virginia’s Largest Grassroots Magazine. 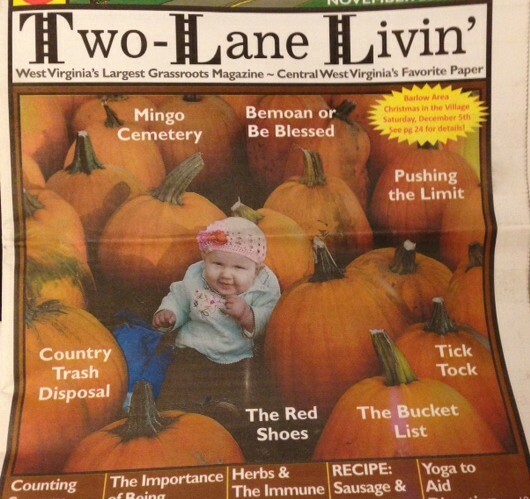 As I write this month’s article home canning season is just about in full swing. Canning jars line the aisles of the box stores, from department, to farm supply, to deep discount. The home canner has a range of choices of bands and rings. Manufacturers offer single colors and cute patterns to adorn your goodies. 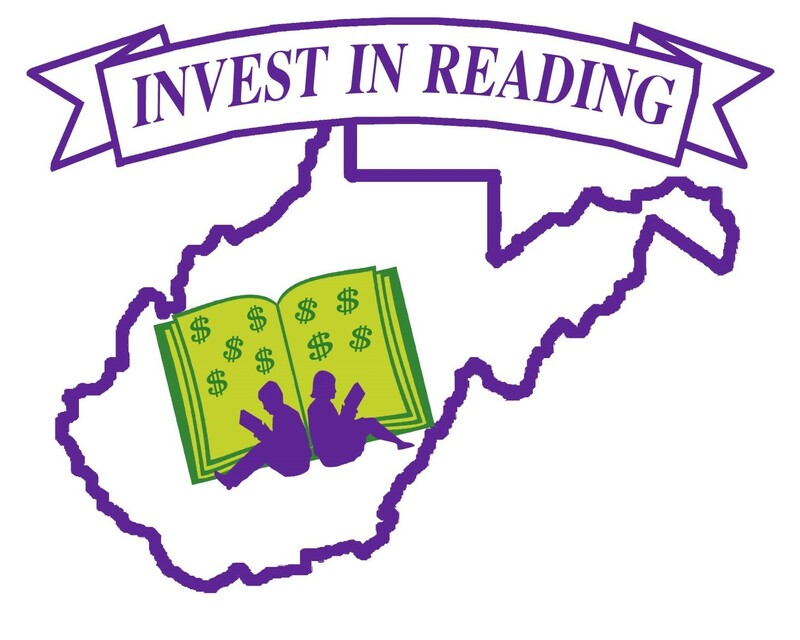 That is as it should be. I make no secret that I do not think using canning jars for decoration or crafting is a good idea. Jars are not cheap, and craft stores inflate the prices. The frugal me sees no sense in wasting them. However, jars do get chipped. Chipped jars are not safe for home canning and possibly will not properly seal. These jars may make good upcyling project jars. 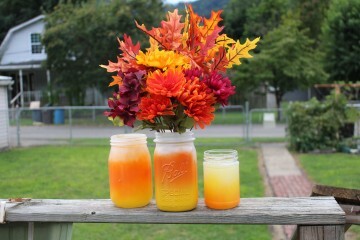 For this project, I took canning jars with small chips along the lips and made autumn themed vases. Any jar will do. You do not specifically need canning jars. In fact, using a variety of jars, alternating color patterns and sizes, can make a lovely display of your fall flowers. Make sure jars are not cracked. Cracked jars should be saved for the recycling center, unless the jars are colored. Colored glass can be used for later projects. The chips should not be large. You want to smooth them with wet sanding. I suggest starting with 80 grit, then 120, and finish with 200 grit sandpaper. You may choose to use a rotary tool, such as a Dremel, with sanding drums. Eliminate any sharp or jagged areas that may cut a finger or palm when handling the jar. Always wear safety goggles when working with glass. Hand sanding will not guarantee a shard does not fly off. Wear a dust mask especially when using a rotary tool and sanding drum. Once the glass is smooth, wash the jar in soapy water and dry completely. Gather together your trusty, quality spray paint. I would be careful about using generic paint on this project. Not all spray paint will adhere to glass, and there is no sense wasting the money. You may choose any combination of colors for your jar. Here, I chose white, yellow, and orange to mimic candy corn. Spray in thirds, allowing a small bit of overlap to make the transition smooth. Spray with sealant after all the paint is dry. 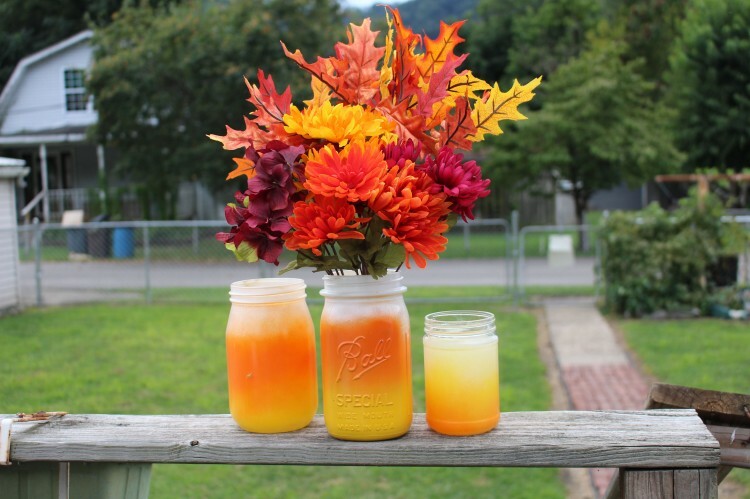 Garnish with your favorite autumn flowers, fresh or artificial, and enjoy! I would love to hear your thoughts. 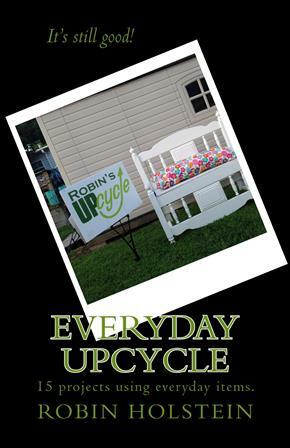 Visit the Facebook page for Robin’s Upcycle and leave a comment.